“Ascension”— Praise God !! What’s soooooooo cool about this painting is it’s utter simplicity. To me, this minimalist piece is striking yet understated. 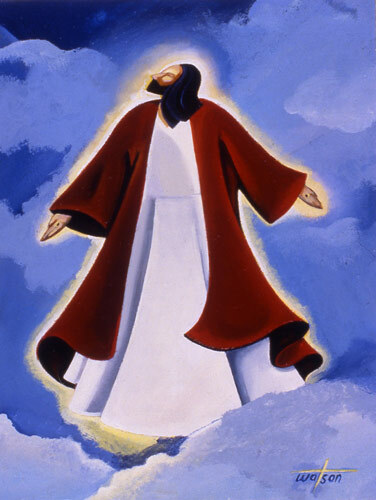 The contrast of the flowing red and white robes against the background draw the eye to the Saviour and His glory as He ascends to heaven. The face —a few shapes, with the beard and hair makes Him easily recognizable. Be sure to read Images of the Cross to learn more about this painting and see how other artists have portrayed the Lord Jesus Christ. Happy Easter. yvette watson is a fine artist. 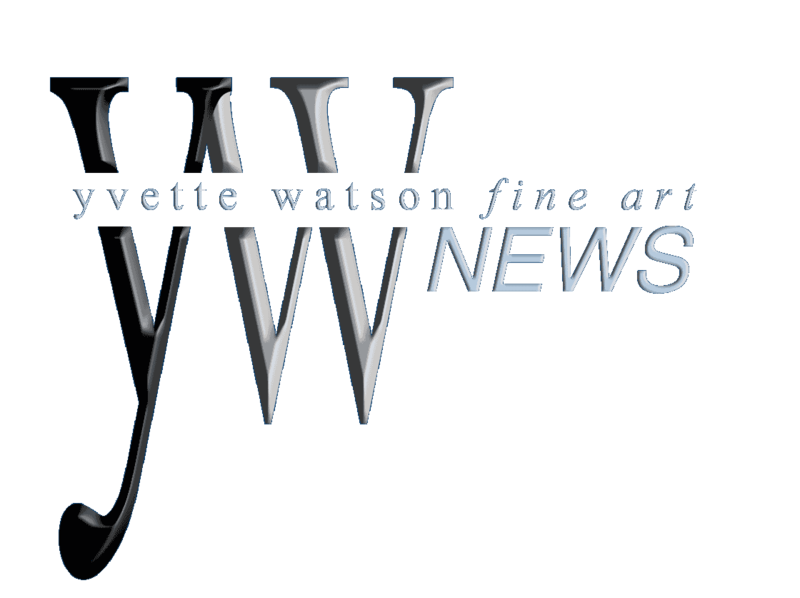 Visit www.yvettewatsonfineart.com to learn about her work. Ascension was my first painting of the image of the Lord Jesus Christ and was painted by request. Prior to 1999 painting the Lord was not something normal for me because of my interpretation or misinterpretation of Exodus: 20: 3-5.
earth and worshipped. My awareness of this command and my application of it to the Lord’s image only changed when my understanding was broadened. God the Father revealed no images of Himself. His glory and beauty cannot be substituted for something other than what He has revealed about Himself in scripture. The principle is that although He too is God, the Lord Jesus was born as a man, lived as a man and ascended to heaven in a human body. Also key is that images of Him are not being used as worship. With this knowledge came liberty and eventually other pieces were made with the Lord Christ. Some artists have presented the Lord as a black man with an afro, with dred locks or as a white with blue eyes. My rendition is not historic nor was it based on hours of careful study. From the bible we know the Lord was Jewish, from Isaiah 53:2 we also know He was average looking rather than gorgeous. Adhering to God’s word, and honoring scripture is my approach to tackling biblical subjects in art. This is important because the bible is in fact God’s word not fiction. Deliberately adding to or taking away from it comes with serious consequences. Biblical art glorifies God, encourages, inspires and comforts His people. Use the links below to see beautiful works of the Saviour by artists. the DMV and beyond- kickstart Spring with the events below ! !